The market town of Velden has about 9000 inhabitants. The climatic health resort was first mentioned in records in 1150. 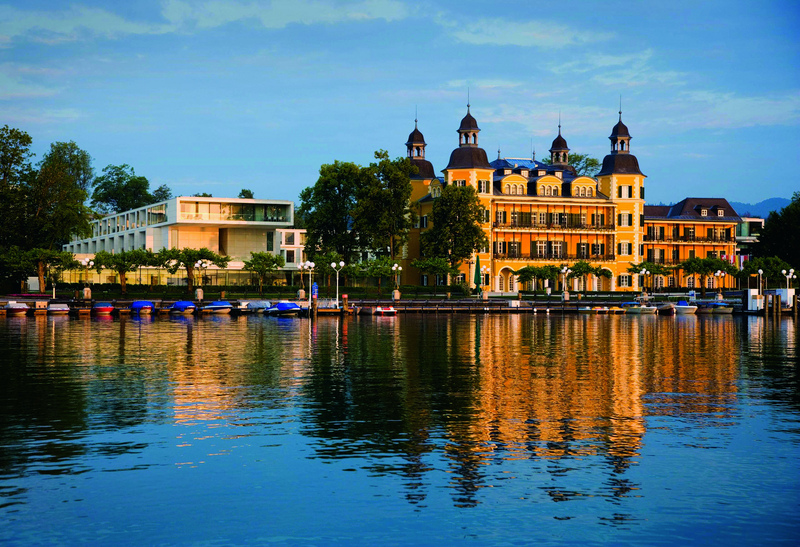 After construction of the railway in 1864, Velden gradually developed from a simple farming village to a notable tourist resort. The first lakeside beach opened as early as 1865. Since then, Velden has become a very popular holiday destination, visited by thousands of guests year after year, who come to relax and enjoy the special landscape. The Renaissance building of Velden Castle was built by Bartholomäus Khevenhüller. Construction began in 1590 and was completed in 1603. The entrance portal still bears the crest of the original owner and three of his wives. The castle gate was also incorporated into the crest of the market town of Velden. In May 2007 the castle was reopened as a luxury hotel, after a lengthy period of disuse.